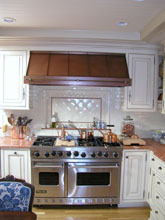 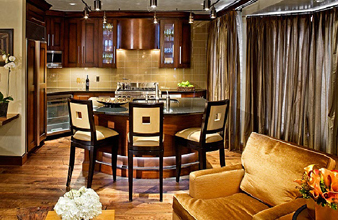 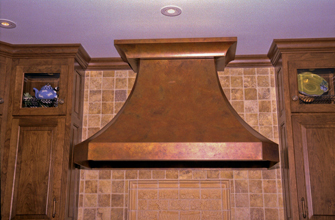 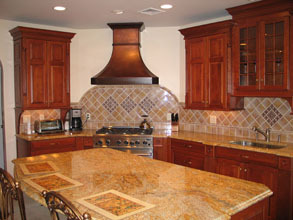 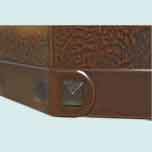 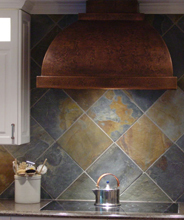 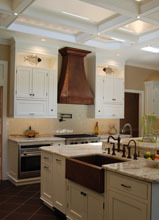 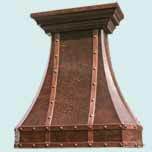 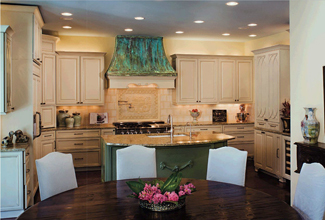 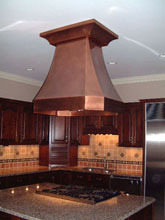 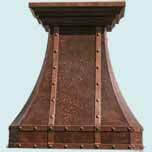 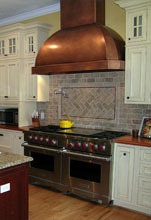 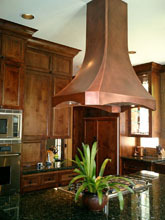 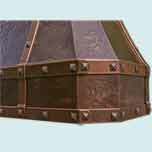 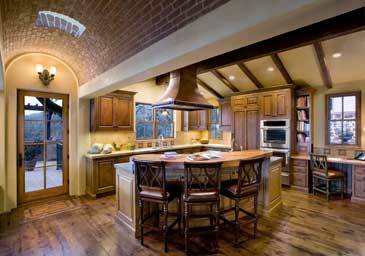 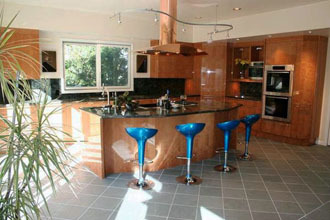 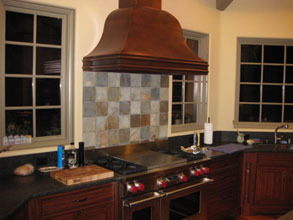 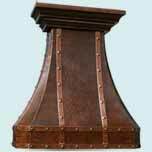 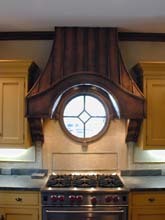 Hammered Copper Range Hood # 2451 | Handcrafted Metal Inc. 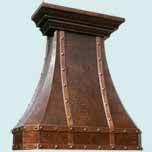 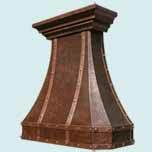 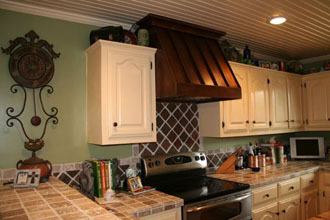 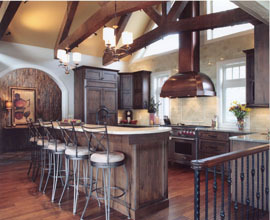 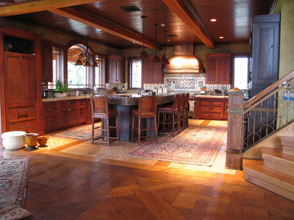 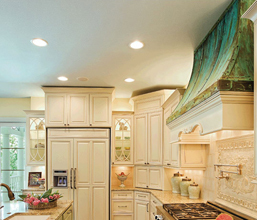 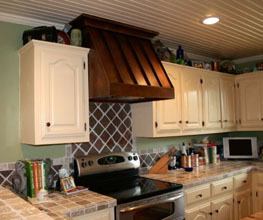 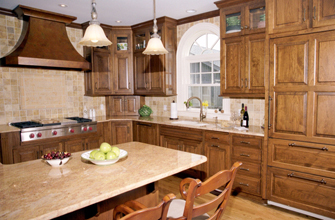 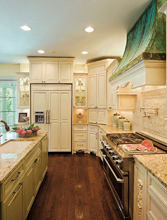 This stout French Country hood is topped with a double crown to match molding in the room. 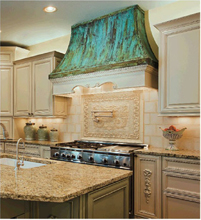 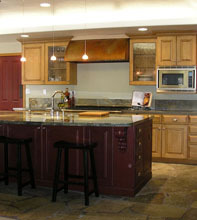 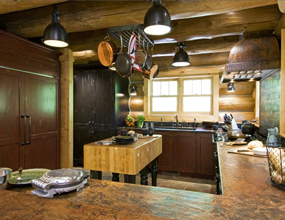 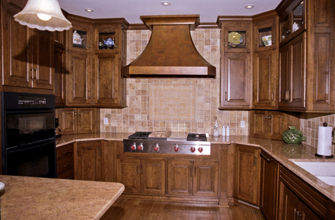 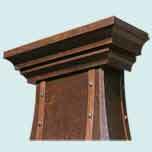 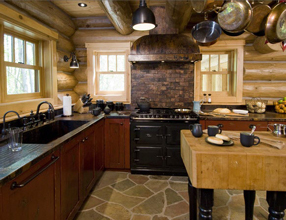 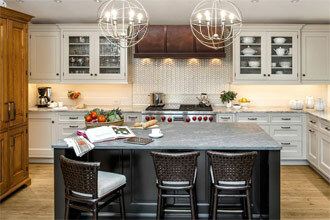 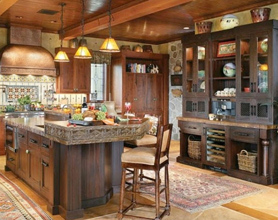 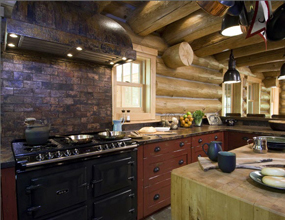 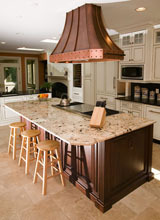 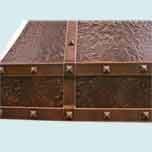 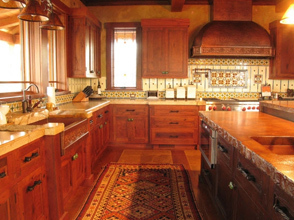 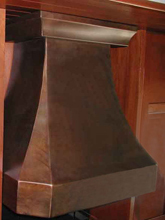 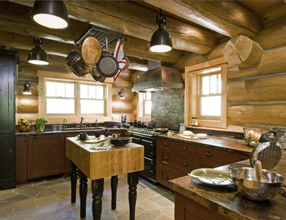 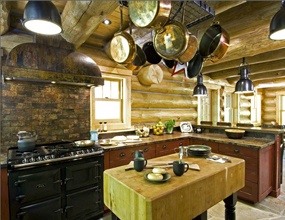 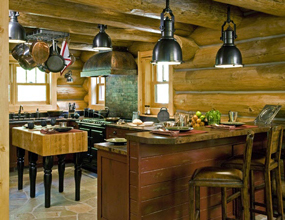 The hood is textured with Ray's Famous hammering and has a Medium antique patina. 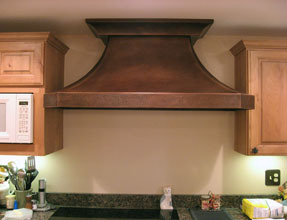 There are two horizontal straps, two vertical straps on the front, and two more verticals on the ends. 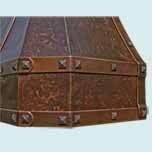 All the straps are solid 1/4" thick copper and have pyramid clavos fasteners.